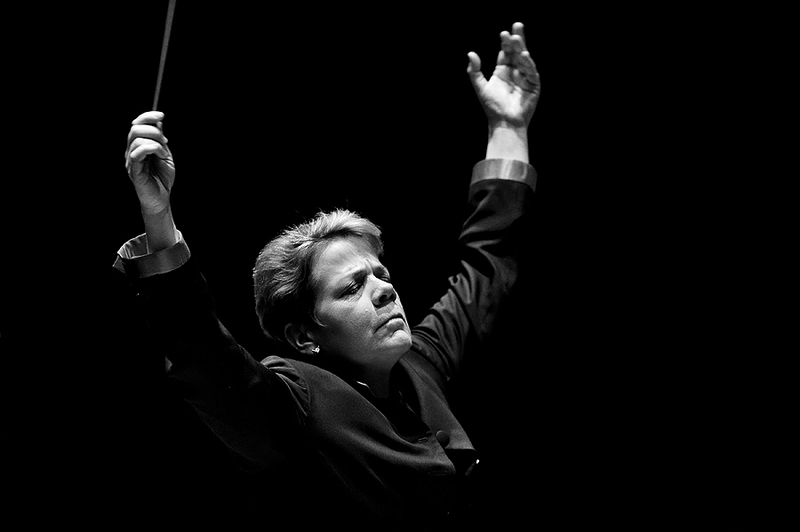 "Music Director of the Baltimore Symphony Orchestra, Marin Alsop conducts a performance on Friday, Jan. 20, 2012 at The Music Center at the Strathmore in Rockville, Md." I was doing some much needed maintenance on my desktop in terms of backing up folders that aren't regularly archived and stumbled across this image from January. Earlier this year I did a good amount of work for the Baltimore Symphony Orchestra. During my time at The Joseph Meyerhoff Symphony Hall and The Music Center at the Strathmore, I got to see some of the conductors back stage and chat with others. Although a huge fan of music, I had not been to really many, if any, orchestra performances prior to 2011. I learned a great deal and quickly learned to appreciate the performances that I gratefully had the chance to see and listen to while working. And I should mention, it was humbling to see Music Director of the Baltimore Symphony Orchestra, Marin Alsop, at work. Like anything, music is an art. And I don't know why, but I remember hearing Alsop say, "It's not so much a note you hear, but you feel." And that continues to resonate with me because of my line of work. I'm continually trying to make views feel an emotion when viewing my images. I really enjoyed my time there and sometimes even though you take in a lot from a certain person or a string of events, sometimes look backing back, one saying sums it all.